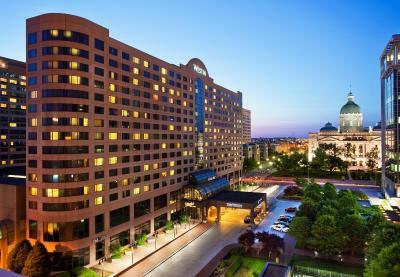 Lock in a great price for The Westin Indianapolis – rated 8.7 by recent guests! Location was excellent. Easy access to all of my needs. I loved how friendly the staff was and wonderful amenities. I would love to take the smell of the hotel home with me. The staff was extremely helpful and friendly. The room was very comfy and cozy! The service and facilities were excellent. Very comfortable and safe. 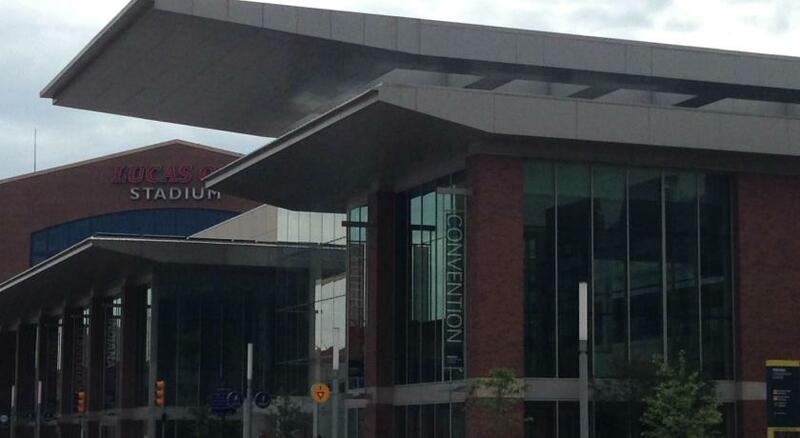 Great location in downtown Indy. Close proximity to everything. 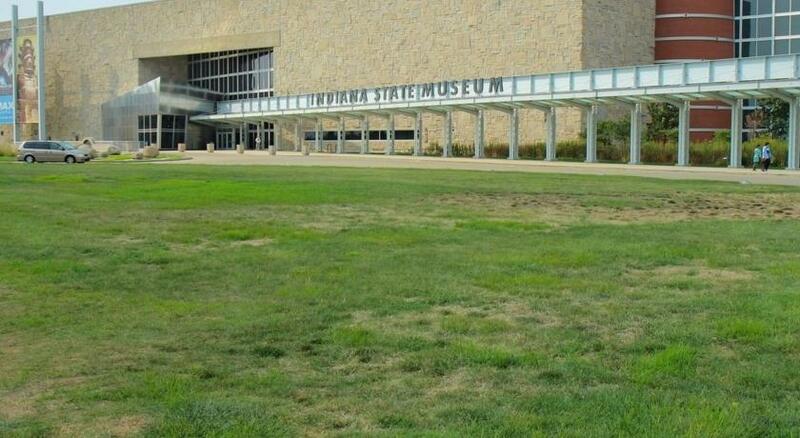 We would recommend this property to anyone traveling to Indy. The bar and front desk staff were both very nice. They accommodated my early arrival to the area with an earlier check in time. 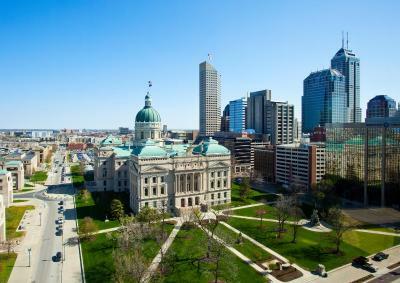 The Westin Indianapolis This rating is a reflection of how the property compares to the industry standard when it comes to price, facilities and services available. It's based on a self-evaluation by the property. Use this rating to help choose your stay! Guest rooms at The Westin Indianapolis provide a stocked mini-bar and coffee facilities with Starbucks coffee. The rooms are equipped with flat-screen TVs, refrigerator, and pay-per-view movies. Internet access and ironing facilities are also available. The Westin Indianapolis offers great casual dining at our restaurant and bar. The restaurant serves steaks and seafood’s while guests can have a drink at the sports lounge. Additionally, meeting and banquet facilities are available. For convenience, guest can rely on concierge services to provide assistance with getting around. The Indianapolis Zoo is 1.2 miles from the hotel. 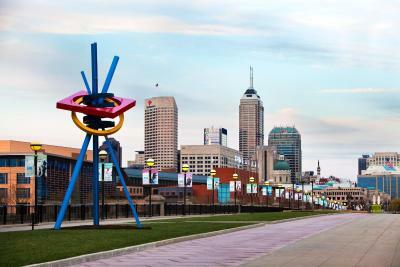 Guests are within a 10-minutes’ walk from Indiana University-Purdue University at Indianapolis. When would you like to stay at The Westin Indianapolis? WiFi is available in all areas and costs USD 11.95 per 24 hours. House Rules The Westin Indianapolis takes special requests – add in the next step! The Westin Indianapolis accepts these cards and reserves the right to temporarily hold an amount prior to arrival. The pull out sofa not too comfortable but it was ok for teenagers. Our room was not ready when it should of been and we had to wait for it to be ready and the hotel did nothing to accomadate that. Not kept up - bathrooms out of toilet paper in multiple stalls, out of paper towel , ran out of food items on menu at restaurants and shops all weekend. Did not seem adequately staffed for an annual convention . The staff were busting their asses and very nice but appears someone didn’t plan accordingly and have enough help on hand ! Not what you expect at such a high dollar Hotel . Very disappointed ! Every employee interaction was super just apparent not enough help for the weekend . Great staff in restaurants and shops and housekeeping just clearly very overworked . Food was very good ! Perfect Location !